"Love is like a butterfly: It goes where it pleases and it pleases wherever it goes." Went on a little photo safari to the San Diego Botanic Garden (formerly known as Quail Gardens) in Encinitas, California on the 1st. It's a beautiful little jewel of a well maintained garden that is chock full of plants collected from many lands around the globe. Being blessed with the fantastic weather we enjoy here in SoCal - especially along the coastal strip - the variety is enormous. In one little section of the grounds, personnel installed a small butterfly and bird garden next to the children's garden section. 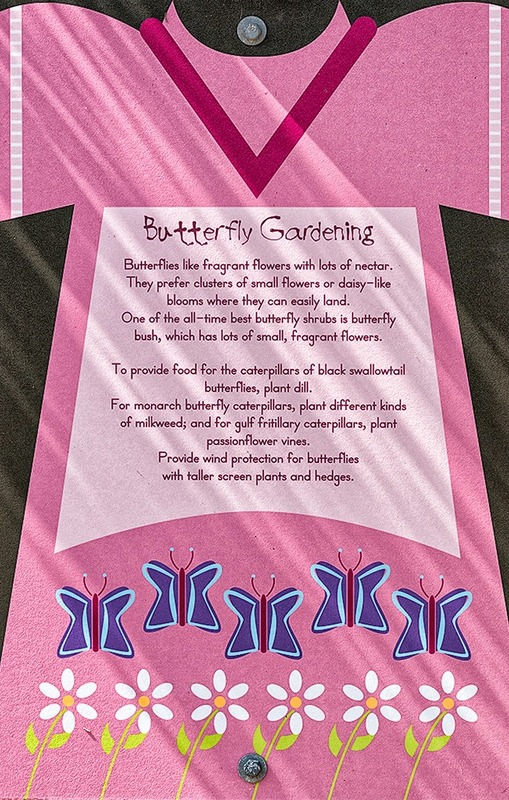 As far as a butterfly garden is concerned, it is very nondescript; more of a garden suited for young children whose parents would like their progeny to wander around a bit and possibly learn some gardening, bird, and butterfly lore. It contains a small vivarium that houses several potted milkweed plants for the benefit of showcasing Monarch butterfly larvae and adults. The vivarium was devoid of any insects while visiting, the poor milkweed plants in sore need of some TLC. I'm sure when the weather gets warmer, the garden will refresh the milkweed and place Monarch cats on them for viewing. As a dedicated butterfly garden destination: fuggetaboutit, but as a botanical oasis, Quail Gardens is a gem of a place to visit. Bring a picnic lunch! As for butterfly sightings, I noticed only one butterfly the whole time I was there, but it was my first swallowtail sighting of this season. It flitted by very fast, but I believe it was an Anise Swallowtail. Vivarium, and actually most of the butterfly and bird garden. 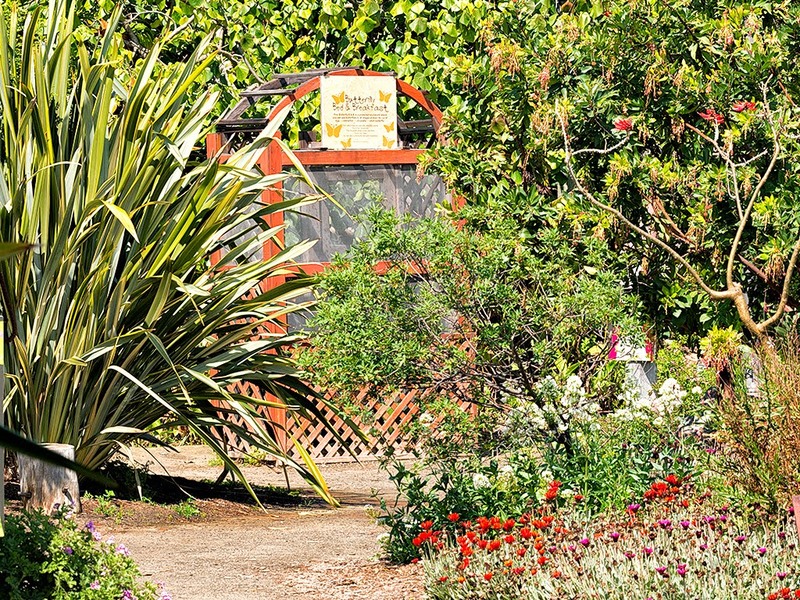 I was in Laguna Beach visiting friends Wednesday, and had a chance to stop by the Alta Laguna Park Butterfly Garden. It hasn't been tended to, and since the last time I was able to work on it before my shoulder injury, it has steadily and rapidly gone down hill. BUT, I was rather surprised at how well it has withstood the test of time. My biggest anticipation was seeing how many - if any - milkweed plants survived. Lo and behold, there are vestiges of them sprouting up through that tough, nutrient poor, poor excuse of a soil. As the days get longer, sunnier, and the ground warms up, there is hope that more will pop through that crap of supposed dirt. With a little bit of attention they could be coaxed into surviving, and even thriving. 1. 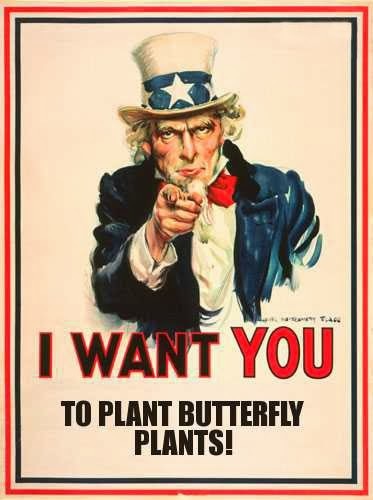 The Butterfly Festival in El Cajon is on Saturday the 5th. 2. The San Diego Zoo Safari Park is hosting their annual Butterfly Jungle exhibit April 5 - 27.